52664-CZ is rated 4.8 out of 5 by 4. Delta® H2Okinetic® PowerDrench® Showers look different because they are different. H2Okinetic® showers are powered by an innovative technology that sculpts the water into a unique wave pattern, giving you the feeling of more water without using more water and creating a shower with more warmth, coverage and intensity. So go ahead and indulge, because now you can enjoy the feeling of more water without using more water. Replacing your shower head is one of the quickest, simplest upgrades you can make to your shower. 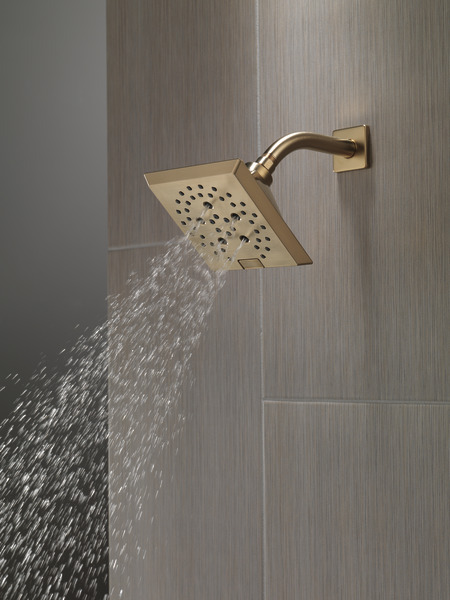 Our shower heads feature a wide range of styles and innovations, and install in less than 20 minutes - no special tools required. While other products may gather unsightly mineral build-up over time, Delta soft rubber Touch-Clean® spray holes allow any mineral residue to simply be wiped away for an instantly refreshed look with no need for soaking or the aid of chemical cleaners. 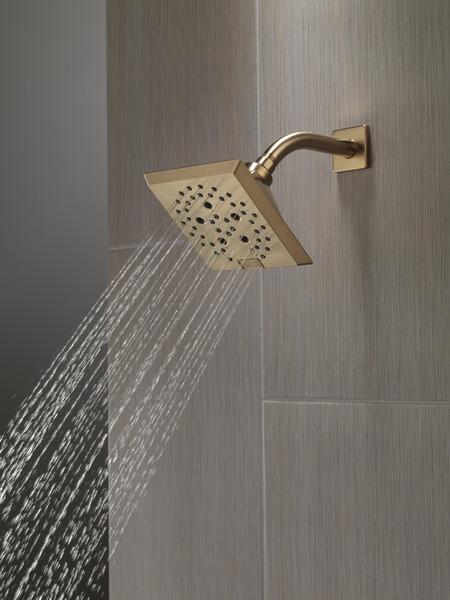 The pause setting gives you ample space for shaving, lathering and other shower tasks, then easily restarts the water with the temperature where you left off. 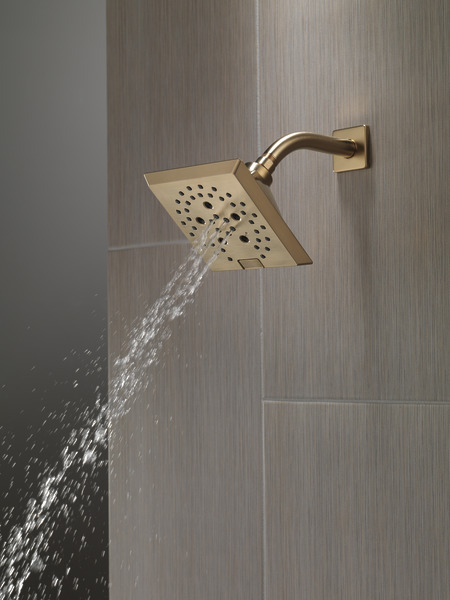 This spray setting helps you conserve water, so you can worry less about depleting your supply of hot water - and you help the environment too. 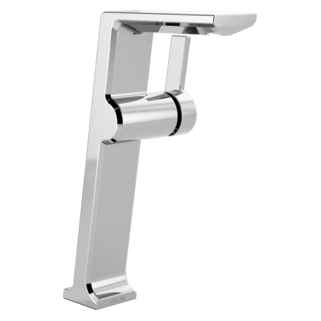 Delta WaterSense® labeled faucets, showers and toilets use at least 20% less water than the industry standard saving you money without compromising performance. 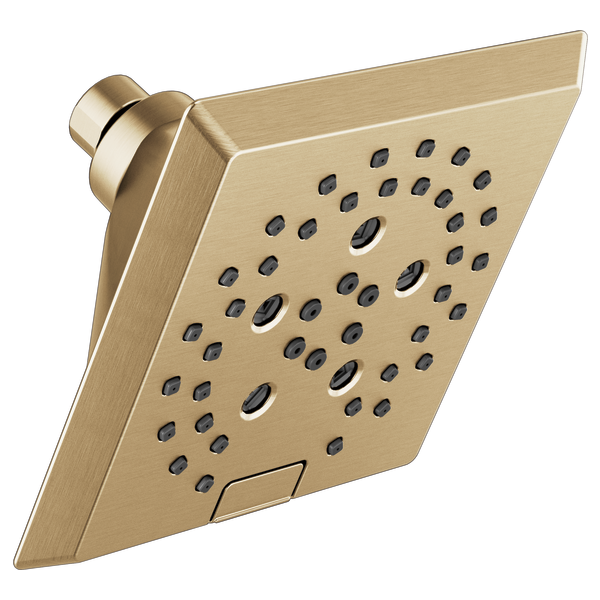 Rated 5 out of 5 by Aeonflux1 from Shower head The water flow is very nice and the black finish is very nice. 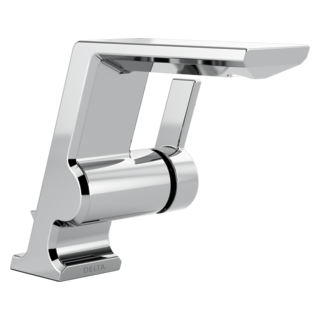 Rated 5 out of 5 by Mlawrence from Great shower head! 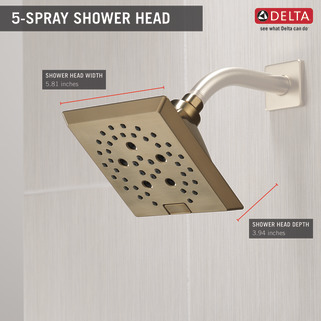 Bought this ahowerhead as well as all of the same colored delta vero for our main shower. 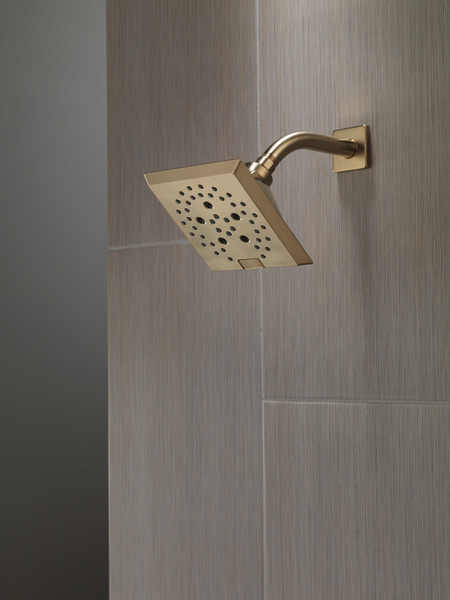 The color is a subtle gold that works so well without being a full shiny brass. More like an aged brass. Is this shower head made out of brass or plastic? What is the matching matte black arm and flange to match this shower head? We see it available as a complete kit but not alone, or included with this head. Which faucet handle would accomodate this shower head since its not sold together? Can you tell me when and where this item will be available for purchase? 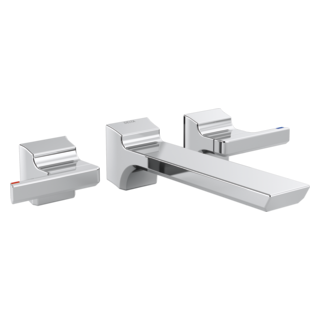 if I'm installing 2 shower heads 52664-SS, do i need 2 6 function diverters (T27999)? 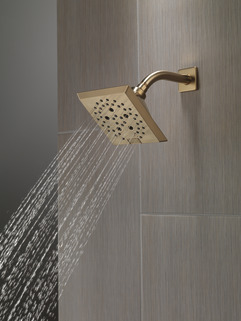 i want each shower head to be able to be used together or separately.